Twenty (27) children and staff of Jireh Children’s Home (JCH) enjoyed two days of fun and games during the Summer Sports Festival organized by ACTION. They formed two teams (White Angel and Pink Lily) and engaged each other in a friendly competition. The first day was held at JCH. It was filled with indoor and outdoor games facilitated by one of the former residents of the facility. The children tested each other’s wits playing Pinoy Henyo, where they tried to guess the names of people, objects, places, animals and events just by asking questions answerable by yes or no. Their physical strength and athleticism were also measured in Tug-of-war and basketball. Other games were pure fun. The children were filled with laughter playing hanapan candy (Look for the Candy), where they had to pick-up candies covered in flour using only their mouths and transfer it to another container. The other parlor games conducted were calamansi relay, egg catching, stop dance, paper dance, calamansi eating and polvoron eating. In the evening, each group selected their candidates for the Search for Mr. & Ms. Sports Festival 2016. Each candidate showcased their talents and participated in the question and answer portion. 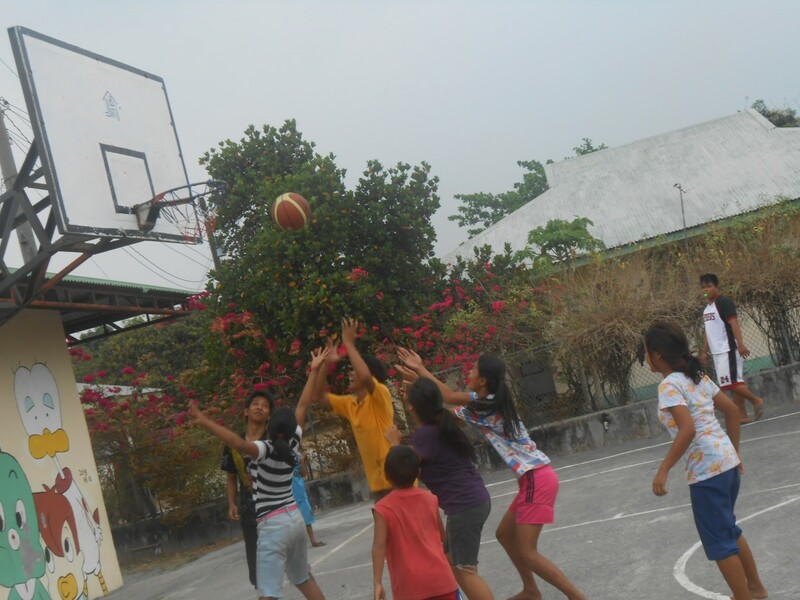 The second day was held in a resort in San Marcelino, Zambales where they underwent team building activities. The children and staff worked and had fun together playing Hula Hoop Pass, Fingertip Hula Hoop and Bring Me, where each group competed to be the first to bring items, announced by the facilitator back to her. Afterwards, the beneficiaries spent the remainder of the day swimming. An awarding ceremony was held in the evening. Winners received prizes and each group showcased their cheer dance and song performances. The highlight of the ceremony was the crowning of the Mr. and Ms. Sports Festival. ACTION has been organizing Summer Sports Festival in Jireh Children’s Home as part of its Psycho-social Intervention Program for the past 4 years. To end the event, Ms. Adora Matias expressed her deep appreciation to the participants for their cooperation and support, making the 4th summer sports festival a huge success. Pastor Joel Alviar, Executive Director of JCH, also expressed his heartfelt gratitude to ACTION for organizing the sports festival for the children. Moreover, he looks forward to the 5th Summer Sports Festival in 2017.